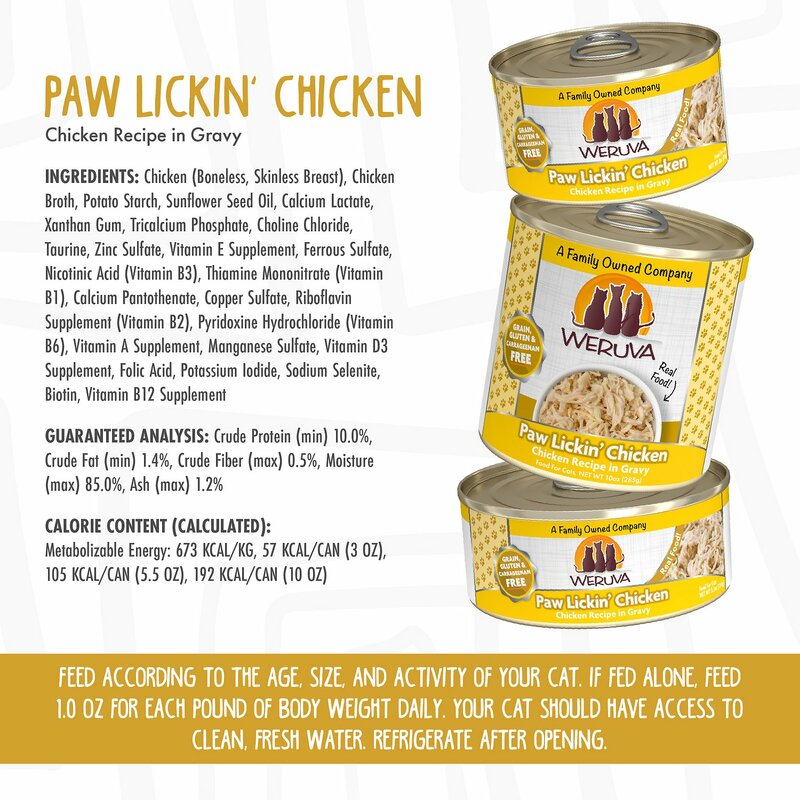 Grain-free wet food is made with shredded chicken as the first ingredient so it’s high in protein sourced from real meat. 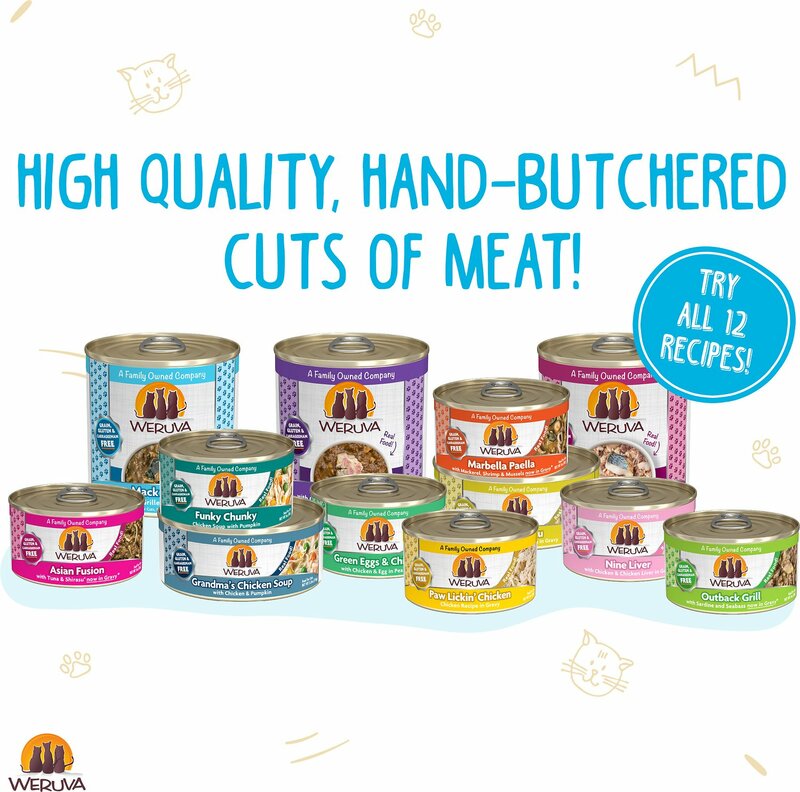 Formulated to satisfy a carnivore’s cravings for animal protein, with savory gravy in every gourmet recipe. Provides a balanced blend of amino acids, omegas, vitamins and minerals, plus taurine for heart and vision health. 100% grain-free, carrageenan-free, complete and balanced meal in every can, with zero BPA, antibiotics, hormones, GMOs or MSG; made in a human food facility. Cats love it! But so many dented cans. This is my cats favorite flavor thus far. Chewy always delivers with the best timing. I do recommend this item. However, too many cans in the case were dented. When I buy cases at pet food shops, I’m able to bring back the dented cans for exchange. Now, I’m stuck with them. Waste of money. So I can only give 3 stars for total satisfaction. My cats love this stuff so much they wait by the cabinet after my alarm goes off. All three totally pig out, we buy the 10oz can and split it between them to supplement dry food. No one had any tummy upset when we made the switch either which is awesome! It looks like people food, like chicken soup. A food that is really as advertised! I tried this by chance. I had a coupon for a free can. I wasn’t sure if my picky eaters would even give it a try but WOW!! They cleaned their bowls! 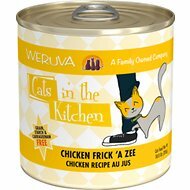 I’m am so surprised by this new kitty food. We will be buying more! I recommend this to anyone who has picky eaters or non picky eaters. 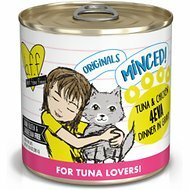 I have tried so many different brands of natural canned cat food. 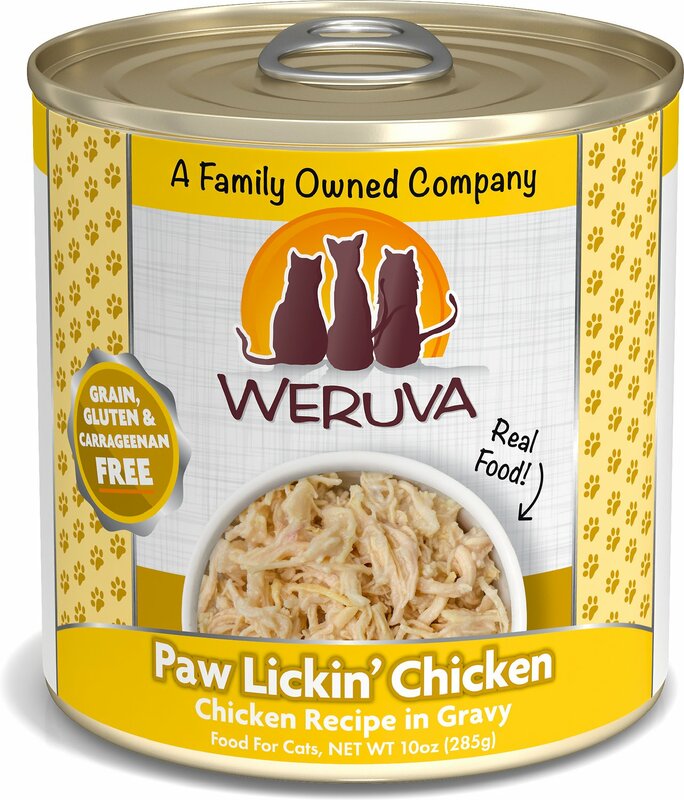 Some they kind of eat others they get sick of but the paw lickin chicken is their favorite! They are begging for breakfast and dinner when they have never done that before and if I try something different they ignore it. They also have the paw lickin chicken for dogs and I get the same reaction from my dog. They all lick the bowl clean everytime. Our two year old tom, who has been known to go on hunger strikes when he's bored of his food, never turns down a can of the paw lickin chicken. It is easily his favorite in our feeding rotation. 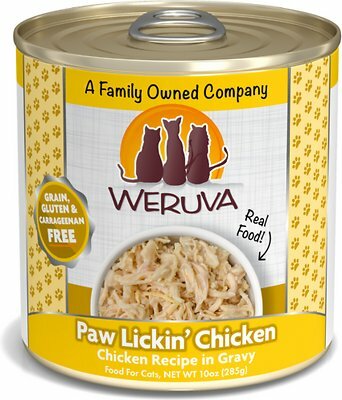 My cats love this as well, although it didn't seem to stick with them as long as some other brands...maybe because there is so much gravy (moisture, which is GOOD)..regardless, will continue to buy this..great ingredients. I have six cats and I struggle finding a food that is healthy and and that they like it. This one they eat it the first time but after the first time they just leak the juice and leave the chicken in the plate which it is a waste of my money. I will not order this one again but I am not giving up with the Weruva. My cat has loved Paw Lickin for years. When I found out they made it for dogs also, I bought some for my dog and she loved it. 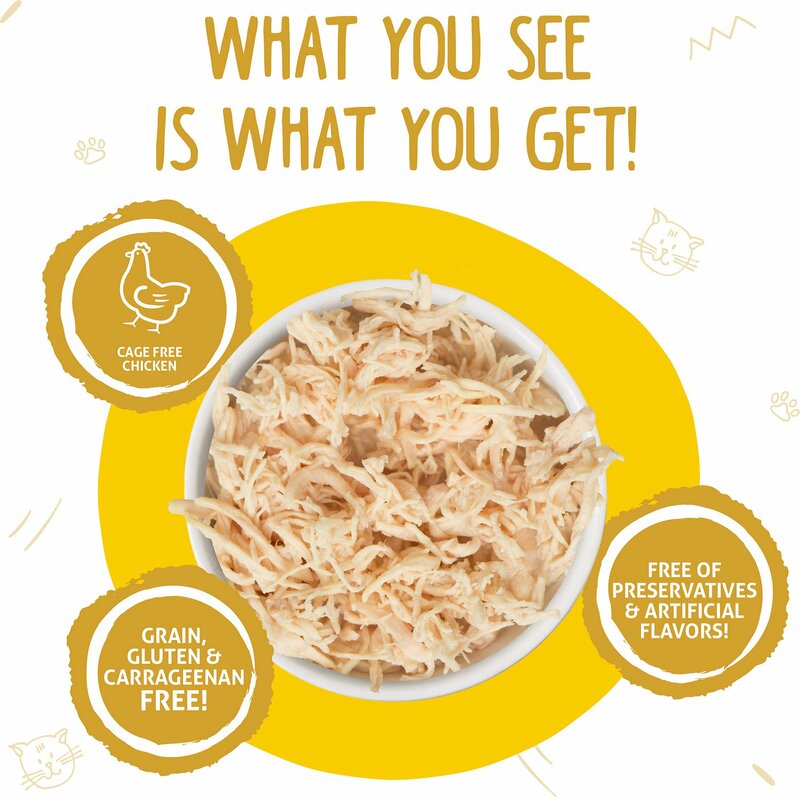 It is shredded chicken breast just like the picture.